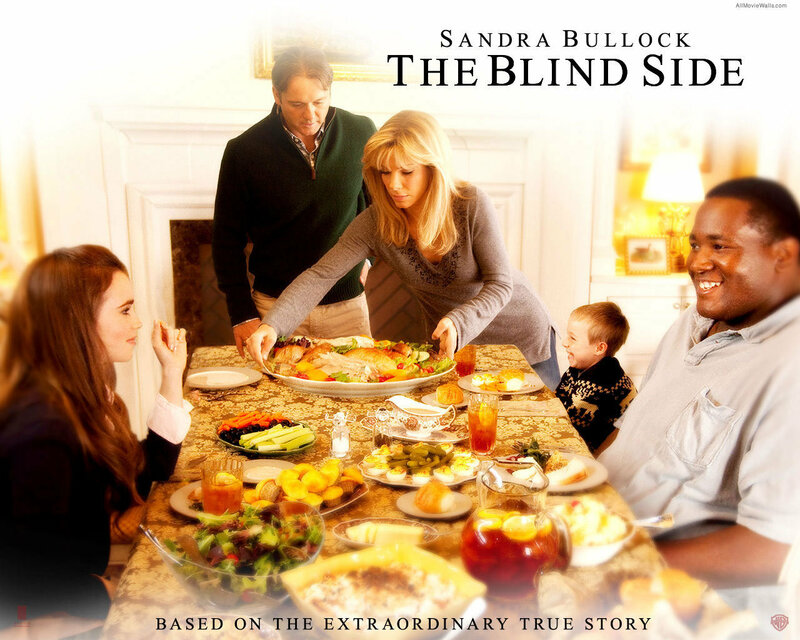 The Blind Side. . HD Wallpaper and background images in the Filem club tagged: movies 2009 the blind side wallappers. This Filem wallpaper contains meja makan, restoran pizza, kedai pizza, salon pizza, pizza, pizza salon, makan malam, and majlis makan malam. There might also be smorgasbord, paella, and antipasto.